A Connecticut woman is facing assault charges after she allegedly attacked a teenage boy who had been flying a drone above a public beach last month. 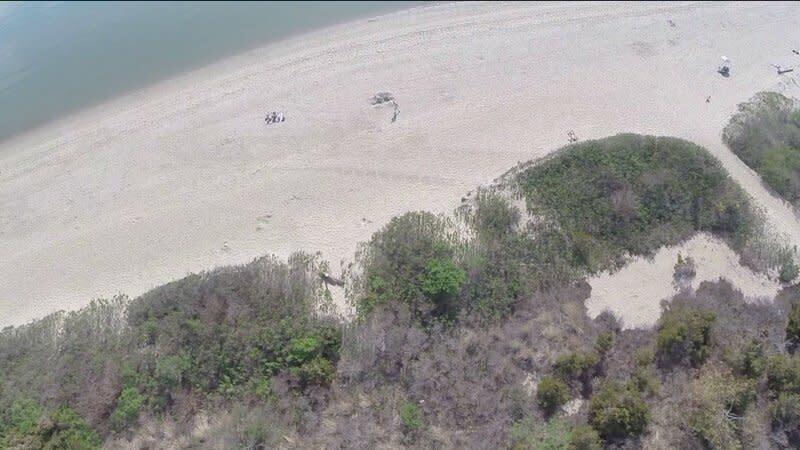 According to police, the woman, 23-year-old Andrea Mears of Westbrook, Connecticut, was arrested at Hammonasset Beach State Park in Madison, Connecticut, on May 12 after confronting the drone operator, 17-year-old Austin Haughwout. Mears was charged with third-degree assault and breach of the peace. She's due in court on June 19. A video, shot by Haughwout and posted online on Saturday, shows a woman talking on the phone with police while grabbing him. “He’s taking pictures of people on the beach with a helicopter plane,” the woman, purported to be Mears, says in the two-minute video before appearing to attack the teen. “You’re assaulting me,” the teenager can be heard yelling on the video. “Yeah, that’s right. Leave, you little pervert,” the woman replies. “I’m going to beat your a--." The state Department of Energy and Environmental Protection police, who patrol the park, say they received a call from a woman complaining that a "remote-controlled aircraft was being flown over the beach with a camera on it." Before police could respond, dispatchers received a call from the teenage victim, who said Mears had attacked him. No charges were filed against Haughwout, who told WTIC-TV he was flying the drone too high for the attached camera to take close-ups. 'It isn't going to hurt you.' He sort of laughed at me now, and I saw red here. The man eventually relented and left the beach. The Federal Aviation Administration says commercial drone flights must be approved and operators must have pilot licenses, but such regulations have been tough to enforce. State laws governing drone use vary and are hard for law enforcement to navigate. In February, police in Hartford detained a freelance journalist after they spotted a drone flying above the scene of a fatal car crash. The journalist, a local television reporter, later filed a federal lawsuit against the Hartford Police Department, claiming officers violated his civil rights when they stopped him from using his drone. On Tuesday, the FAA announced it has approved the first commercial drone flight over U.S. land by oil company BP for an aerial survey of Alaska's North Slope.